We're sorry! This item is temporarily out of stock in your chosen store and in our warehouse. More stock is on the way. You can still place your order, and it will ship to store when available. • Warranty: 3 year limited warranty with hundreds of service centers across North America. The HG8750 was designed to suit your every need with a large array of power outlets and the wattage to back them up. Six standard outlets and two different locking outlets make sure that you'll have enough space for all your devices, and rubber covers protect them all against moisture and dirt. 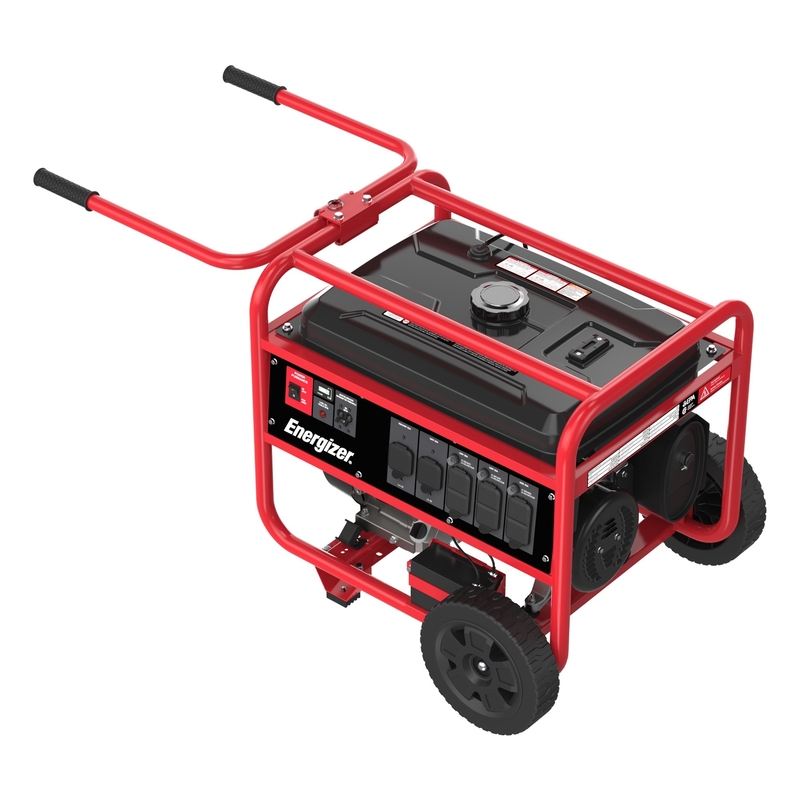 Power your next special event, construction project, recreational vehicle, or your home in an emergency with the 30 amp 120V and 120/240V locking ports. Push-button electric start powered by the included battery makes operation easy and reliable, no more recoil starts unless you want to. No more drained batteries either, a plug-in charger tops up the battery and helps keep it healthy during long term storage. A large metal fuel tank supplies the generator for an impressive 10 hour run time at 50% load, and you can keep track of your run time with the digital multi-meter. Knowing your generator's lifetime run time will help you schedule maintenance at recommended intervals using our included easy maintenance guide. The construction-tested steel frame comes equipped with equally tough never-flat XL wheels and handles. Top mounted for more comfortable transport the handles can be raised to an optimally ergonomic position with less bending over and lifting. With over 600 registered service centers across North America to choose from and an extended 3-year warranty you can rely on your Hyundai generator for the long haul. • Large 420cc OHV engine with AVR produces 7,000 watts of running power and a maximum of 8,750 watts. • Push-button electric starting is quicker, more reliable and less work for your back. • Battery charger wall-plug tops up your battery during storage to keep it healthy. • Two different locking ports safely power large amperage needs, L5-30R at 120V and L14-30R supplies both 120V and 240V. 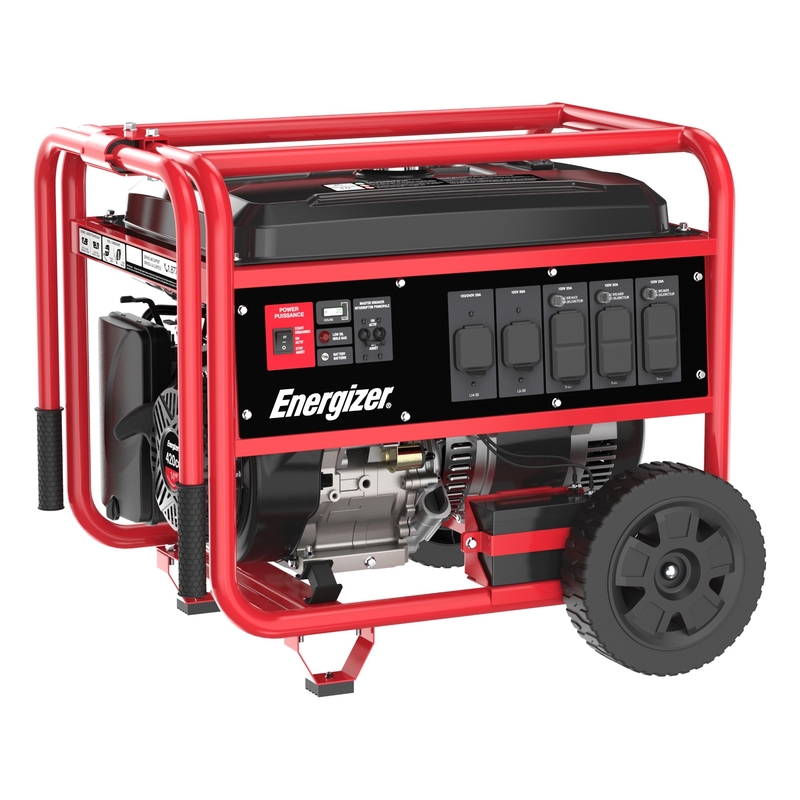 Perfect for RVs and home backup power. • With six 20A 120V outlets to choose from, you’ll never have to pick and choose which devices to connect. • Digital multi-meter displays volts, frequency, session run time and total run time. 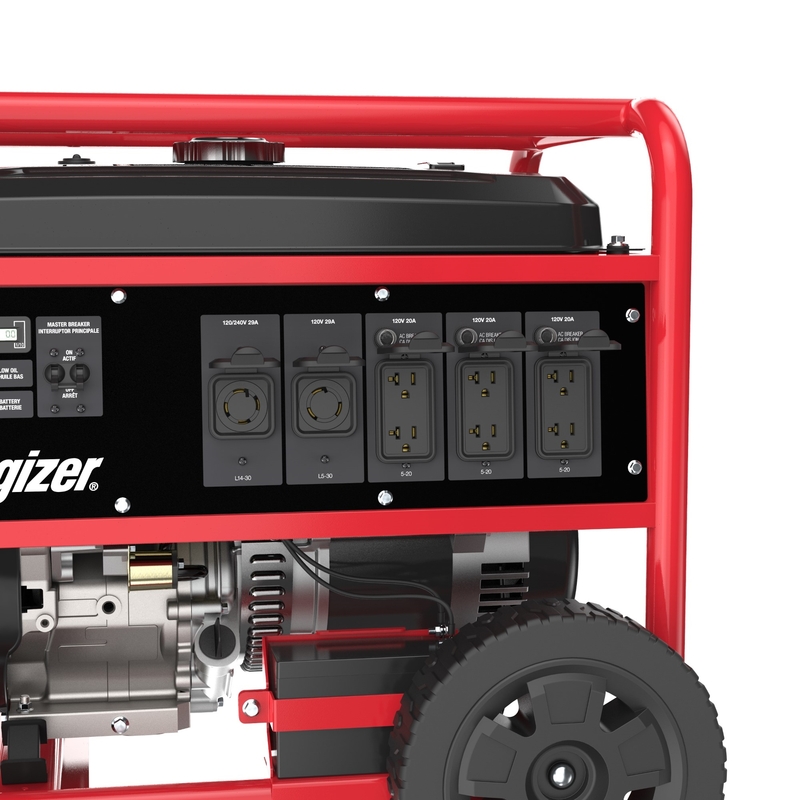 Knowing the total run time allows you to perform oil changes and maintenance at the recommended intervals to keep your generator in peak form. • Never-flat 10” XL wheels will traverse uneven terrain with ease due to their large diameter. • Newly-designed top-mounted folding handle is optimized for ease of use and less straining than other brands by being an average of 7 inches higher. • Rubber covers on every outlet makes sure moisture and dust won’t damage your electronics. • A dedicated breaker for every 20A 120V duplex outlet allows your other devices to continue working in the event of an overloaded circuit. • All-metal fuel tank is much more resilient to wear and tear than plastic tanks.